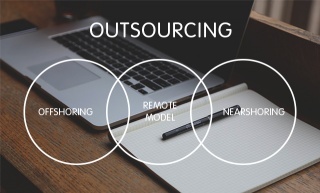 What is Outsourcing? | Quality House Ltd.
To understand the concept of the outsourcing in the best way there is, it is very important that everyone is aware of its meaning and history. Outsourcing could be described as delegating the company’s day to day business processes and operations to an external company. Usually, it is done to achieve better quality at a lower cost. Though, it has become highly popular with the boom of the BPO (Business Processes Outsourcing) and the development of the IT Sector in the early 00’s, outsourcing is definitely not new and not discovered in the last twenty years (more or less). It goes back to the Romans who are known to have outsourced their tax collection. Then, in the 18th century in England, it regained popularity with the industrial revolution. In 1970’s the big manufacturing companies started to underperform. That continued in the 80’s when a change of direction in the business strategy was witnessed – the companies started focusing on fewer, but core business activities. “Offshoring“ as we know it today started with Y2K mainly with Indian companies. Many companies were in a search of new ways to organize work and processes to improve the cost, the performance, the quality and the speed. With the rapid development of the IT sector in the 90’s, offshoring has become a very controversial part of the outsourcing revolution. Deals worth over of a billion euros actually produced lower than the expected results. In the early 00’s between practitioners and academics whether or not to outsource became very debatable. Do not forget that almost anything can be outsourced. It does not happen in fact due to security risks – imagine if NATO outsources the development of its software and there is a risk? So, the debate still goes on and outsourcing still gains even more popularity. We see new trends that are also to change the face of the well - known outsourcing model. In the fast – paced world, where every part is somehow connected to IT we are witnessing that for the last decade, the face of typical outsourcing has changed. More and more companies are now inclined to invest in nearshoring, in the geographically closer countries of Eastern Europe than in India - the preferred and dominant partner in the past. The reasons for outsourcing in Eastern Europe are quite many, one of the most commonly mentioned is the lack of the "Yes, sir" culture. But as there are many benefits of outsourcing in Eastern Europe, there are also many risks of doing so, some of them connected to the security and the loss of management on behalf of the client. Are there reasonable constrains to stop nearshoring or are the benefits more than initially imagined? Is Eastern Europe the next India for outsourcing and why is it better than any other location? These and other questions will be even more and more arising in the next few years due to the fact that the well developed countries do lack the resources needed to fulfill their needs. So, it’s quite important that clear definitions are made for the most commonly met terms in the outsourcing industry – offshoring, onshoring and nearshoring. Offshoring - quite popular in the past - outsourcing business processes from outside the home country to a third party or company that is set up as an offshore development center. This model is connected with risks due to language barriers, cultural differences and different time zones. It is usually used because of the cheaper labour costs. 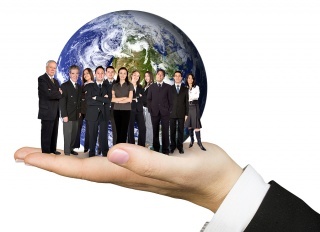 Onshoring - outsourcing business processes to any location in the same country as the client. It involves less risks but does not allow for saving much. And still, you do lack the opportunity to choose from a wide range of IT professionals, you are being restricted by the country’s labour force which is not true for offshoring and nearshoring. 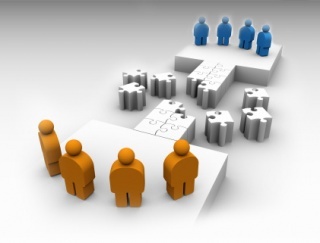 Nearshoring - outsourcing business processes to companies located in nearby countries. It is especially common for West European businesses who prefer the East European destinations. Nowadays, nearshoring is considered to be a good alternative to the offshoring and onshoring and is really gaining in great popularity. Having learned what exactly outsourcing is, in our next article devoted on this topic you will get some interesting tips about the outsourcing market (facts & figures). The next article is expected in the end of February. How to Succeed in the Outsourcing Industry? No matter what software product you’re developing, testing and quality assurance are crucial and inseparable parts of the development cycle. Quality House oversees your final product fits your technical requirements like a glove. Give us a call at +359 2 958 33 06 or email us at sales@qualityhouse.com.